Building contractors in Australia are now one week into operating according to new fitness for work requirements covered under the amended Building Code 2013. So, is every contractor affected and what steps do contractors need to take to make sure they are compliant with the Code? Stage 1: FWBC will assist industry through the provision of education and information and assisting contractors in understanding the policy. Stage 2: FWBC audits will be conducted to provide feedback to contractors on compliance and assisting them with changes needed to achieve compliance. Stage 3: Commences 1 February 2016 in order to give contractors adequate time to comply with the Code. FWBC will conduct audits and take further action under the Code if compliance and rectification are not achieved. 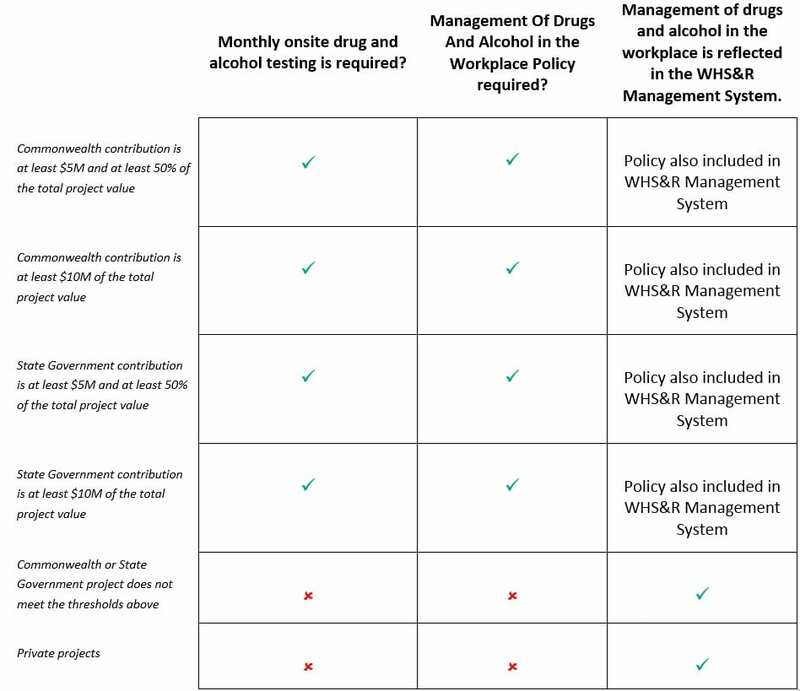 Outline how workers who attend for work, affected by drugs or alcohol, will be counselled and assisted, apart from any disciplinary action. Want to Discuss Things Further? We understand that every company has there own specific needs. We’d love the opportunity to meet with you and understand your business requirements. If you would like a meeting to learn how partnering with KINNECT can help make your employees healthy, safe and productive, please click the button below.